In time, your vehicle’s transmission slowly loses the ability to do its job well. Eventually, it’s going to need to be repaired or replaced. Grimm’s Automovation’s ASE certified transmission mechanics offer years of experience in transmission rebuilding, repair, and replacement for all vehicles, including heavy duty trucks in Frederick, MD. 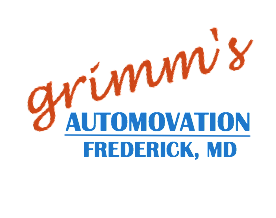 Grimm’s Automovation offers auto, truck, RV, and motorcycle transmission repair for all of Frederick County and surrounding areas including: Middletown, Thurmont, Brunswick, Urbana, Libertytown, New Market, Mt. Airy, Myersville, Adamstown, Buckeystown, and Urbana.